← R & R Bayview Resort – A Fun Winter Stop on the Chippewa Flowage! 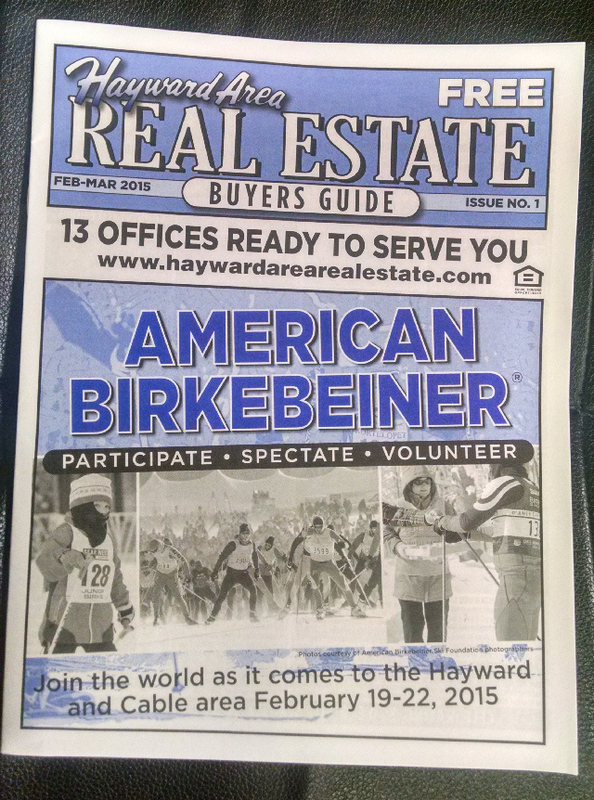 The new Hayward Area Real Estate Buyers Guide just came out, with some changes….. Now this free publication will come out every 2 months instead of every 3 months like last year. The new publishing frequency will help ensure up-to-date listings for inquiring buyers. But…..a new drawback is that each broker is now limited to 2 pages of advertising space per issue. If you’ve read through this guide before you will remember how it was packed with listings and was a thick publication – now it is almost as thin as a brochure! It still serves its purpose by giving buyers a snapshot of area real estate offerings though. Many of the offices, ours included, plan to highlight a different type of property within each issue; buyers can call for info on additional or different types of listings not featured. I can help you with any property in this guide, and if you don’t see what you are after, don’t hesitate to call, text, or email me anytime – I am ready to help you find your slice of northwoods paradise! This entry was posted in Business & Commercial, BUYERS, Cabins For Sale Hayward, Chalets For Sale Hayward, Condos For Sale Hayward, Homes For Sale Hayward, Land For Sale Hayward, REAL ESTATE RESOURCES and tagged area north realty, buyers guide hayward, cathy lareau realtor, hayward real estate buyers guide, property listings hayward wi, real estate companies hayward wi, real estate guide hayward. Bookmark the permalink.